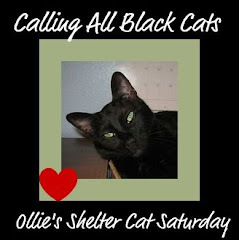 OIlie and I are taking a little road trip today for his Shelter Cat Saturday feature. 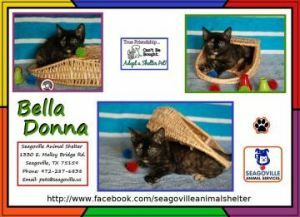 Going up to Seagoville where the good folks at the shelter have a cat room FULL of kittens. So many kittens, in fact, that they're waiving the adoption fee on the little darlings through the month of June. This little doll baby is one of them. 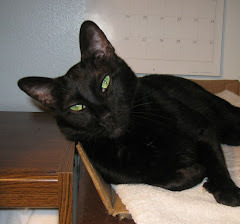 Looks like her stray hold won't be up for a couple of days, but she looks like a pistol. Ollie and I bet Miss Bella Donna has a heapin' helpin' of tortitude. Everyone needs some spice in their life. This little doll would probably fit the bill nicely! Oh, and she *is* a "beauriful lady"! Torties are 2nd only to black as our favorite cat coat color. And, Taffy, we love lilac too.